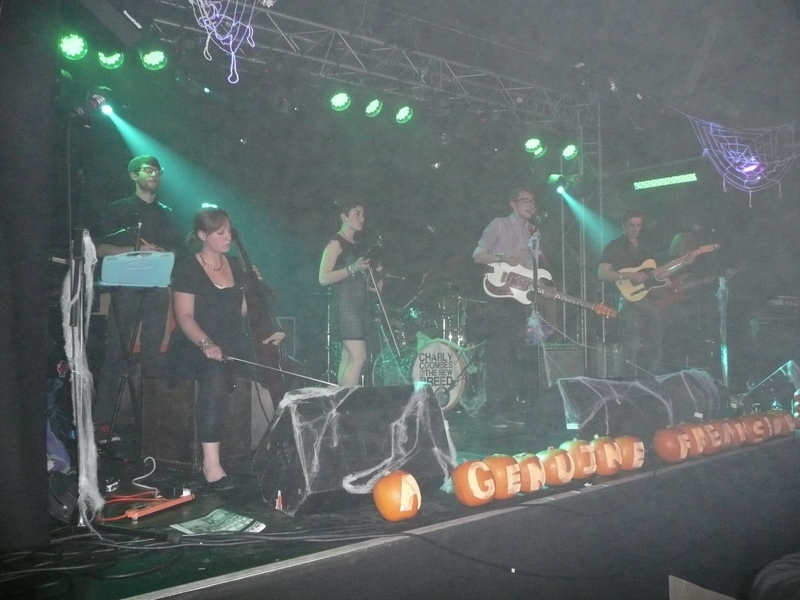 A Genuine Freakshow is a baroque 7 piece band originating from Reading, Berkshire. They released their debut album Oftentimes in November 2010 on the Peartree Records label. Inspiration has been taken from Mew, Elbow, Tom Waits, Pink Floyd, The National, Radiohead, Sigur Rós, Bob Dylan and The Beatles. Their current members are: Jack Bryant (Drums), Marianne Casey Canning (Violin), Melanie Dickson (Cello), John Dunstan (Trumpet, Additional Percussion), Simon Evans (Guitar, Piano, Glockenspiel, Backing Vocals), Timothy Sutcliffe (Vocals, Guitar, Piano, Backing Vocals) and John Szmidt (Bass Guitar). A description of their musical style might be “pop-infused post-rock cannonade”, combining orchestral cello, trumpet and violin, with the more traditional rock 4 piece of guitar bass, drums and vocals. Possibly they’re more indie than alternative. For some, they produce focused, well compiled, nicely produced and underrated material which does not become pompous. For others they seem to be tedious, pretentious, derivative, disappointing, and cringingly earnest. Within the limitations of a half hour set they had some great bursts of creativity. Stunning vocals from a very talented singer, sometimes described as Morrisey with orchestration, combined with mellow and emotional overtones. They had a rich experimental style with impressive excesses that thrilled. Set List: Low, Our Bodies, Where The River Bends, Hopscotch Machine Gun Madness and Claw And Grasp.